Airtight/watertight, dust proof, chemical resistant, 2 reinforced holes for padlocks, wheels, pull handle, and a lifetime warranty. Bolt Rifle Case has fitted pre-cut high density 2.2lb polyethylene foam. 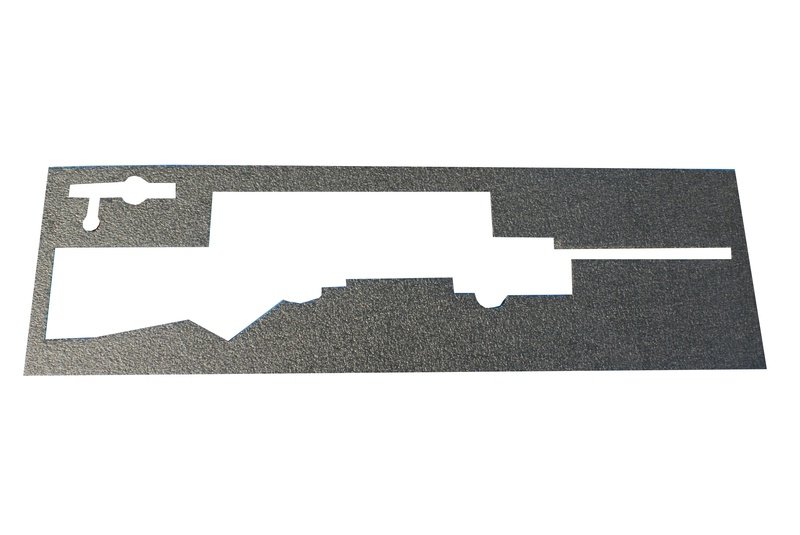 This insert is designed from layering every stock in the industry and finding a common area for the cavity, meaning it will fit any stock. There is a slot cut for the bolt, a bi pod, and the scope area is generous. The insert is cut to accommodate a 26″ barrel or shorter. 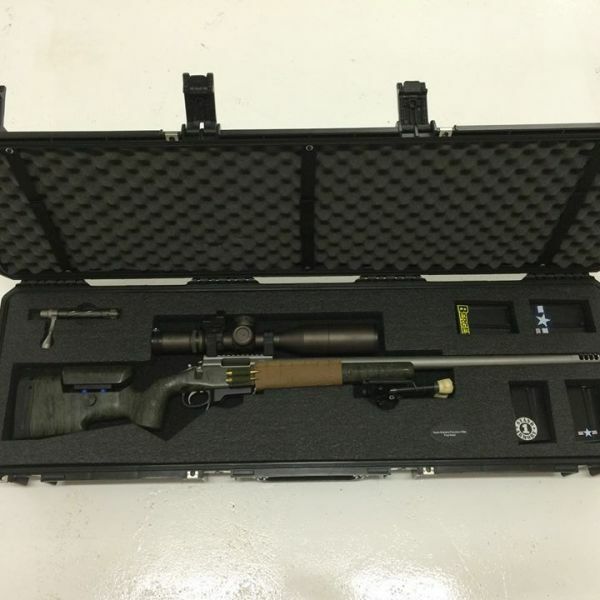 There is room to customize the top layer for magazines under the barrel as well as a full layer of uncut foam underneath for customizing slots or ammo, binoculars, cleaning kits, tools, etc. 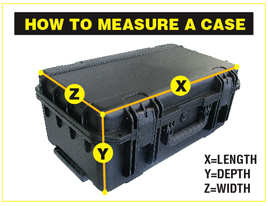 We send the cut out foam with each case, so you can reinsert any bit of foam needed to provide a better fit. Example: if you have a 22″ barrel you can cut 4″ off of the barrel portion of the foam and reinsert it into the slot for a better fit. 2.2lb HD polyethylene is the preferred foam quality for military and federal agency packaging. 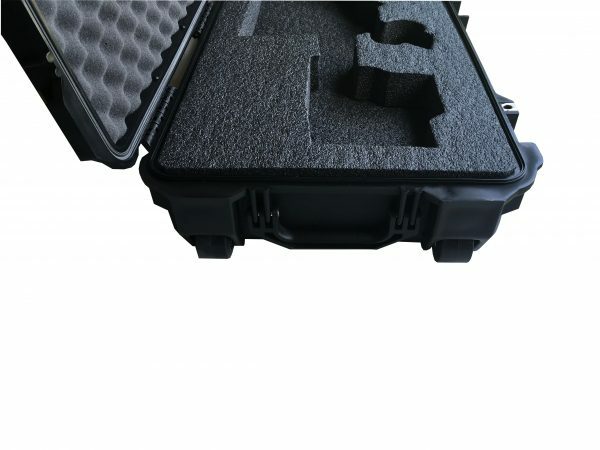 It is also the most used foam in high end custom fitted cases for rifle systems. The foam is impervious to oils and solvents, meaning it will not lose it’s density and durability due to exposure to solvents. 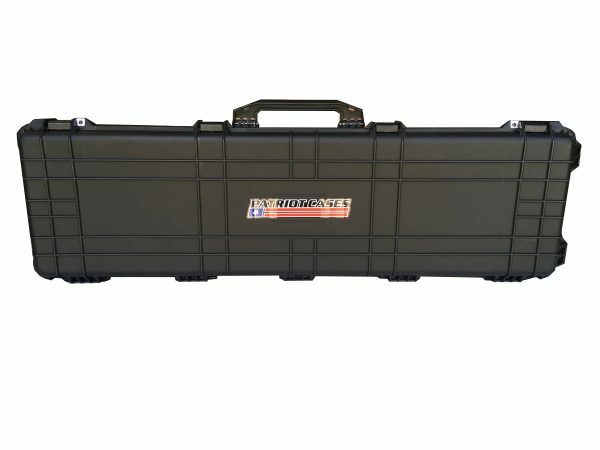 This insures your rifle and optic will be protected for years and years against the most brutal exposure. 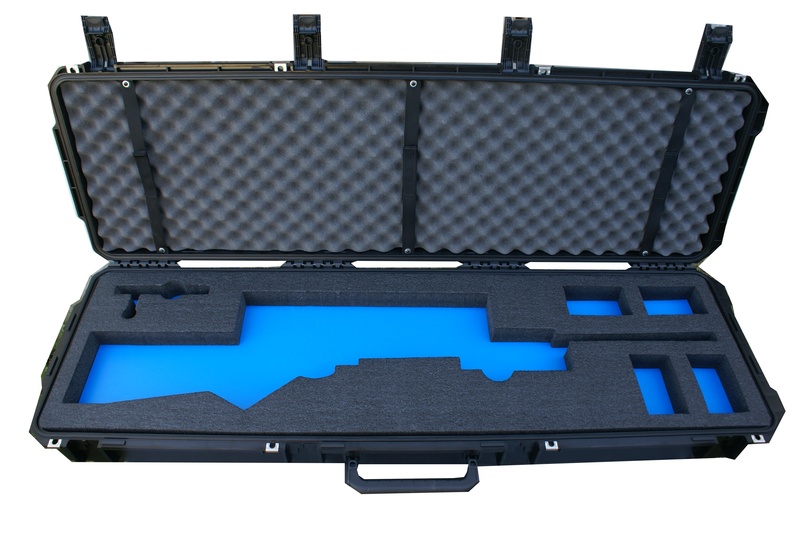 The 2.2lb HDPE foam is a $100+ upgrade with Pelican, but it comes standard with our kits. Internal Dimensions: 50.5″ long x 14″ wide x 5.75″ deep.